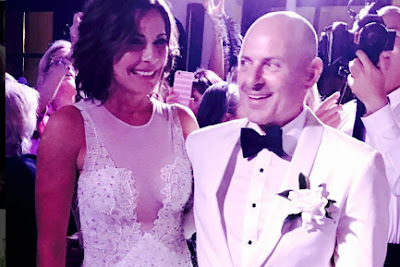 iRealHousewives | The 411 On American + International Real Housewives: Real Housewives Stars React To Luann de Lesseps And Tom D’Agostino’s Divorce Announcement! Real Housewives Stars React To Luann de Lesseps And Tom D’Agostino’s Divorce Announcement! Luann D'Agostino confirmed that she and her husband Tom D'Agostino have called it quits. The Real Housewives of New York City star announced via Twitter on Thursday that they mutually decided to end their seven-month union. "It's with great sadness that Tom & I agreed to divorce," the 52-year-old reality star wrote. "We care for each other very much, hope you respect our privacy during this sad time!" It's with great sadness that Tom & I agreed to divorce. We care for each other very much, hope you respect our privacy during this sad time! A source tells E! News that Luann's co-stars had no clue that the couple would be filing for divorce. "Everyone is surprised by the announcement but not shocked by the news," the source says, adding that Luann's friends "had been encouraging her to get out of the marriage." Bethenny Frankel was asked about the couple's marital issues during an appearance on Watch What Happens Live With Andy Cohen Wednesday prior to divorce announcement. "I really feel badly for her, because she's been living this totally out loud. I think it's personal," she said. "They got married and I decided to stay out of it after that." After Luann announced her divorce plans Thursday, several cast members and other Real Housewives from different cities offered their support. "I told Luann I'm there for her whether this worked out or not and here I am. Men come and go, and at the end the day, we have our girlfriends, don't we?" Sonja Morgan told E! News in an exclusive statement. "I wanted it to work out, but I want her to know I'm here for her." Similarly, in an exclusive statement to E! News, co-star Ramona Singer said, "My heart breaks for her. Luann went into this wanting to make it work. I've never seen her happier." Dorinda Medley, the sole cast member to attend their wedding, also shared her sympathies. "It's always sad when a marriage doesn't work out," she said. "I wish the best for both of them." Dorinda admitted to feeling heartbroken about the breakup. “I’m just very saddened, you know. It’s always sad to see a marriage break up and obviously so quickly. I wish them the best. I’m just very sad. It’s heartbreaking, really," she told PEOPLE. "It’s heartbreaking for Luann too, because I love her and I know how much she loves Tom,” said Medley. Tinsley Mortimer also weighed in on the somber news, saying, "My heart goes out to Luann during this difficult time. In life, some people think that it's holding on that makes one strong; however, sometimes it's letting go," she told PEOPLE. Meanwhile, Kelly Bensimon showed that she has Luann's back no matter what while reacting to the news of her former co-star's split to Us Weekly. "I love you, Lu," Kelly said. "We are friends forever and I support any and all decisions you make." Former Real Housewives of New Jersey star Dina Manzo tweeted her support to Luann on Friday with the reply, "I'm so incredibly sorry. Stay strong." Meanwhile, former Real Housewives of Melbourne star Pettifleur Berenger, who meet Luann at Jill Zarin's 5th annual Luxuary Luncheon showed her support. "Very sad to hear this news. Sending you love and hugs @CountessLuann ❤️❤️❤️," she wrote on Instagram.